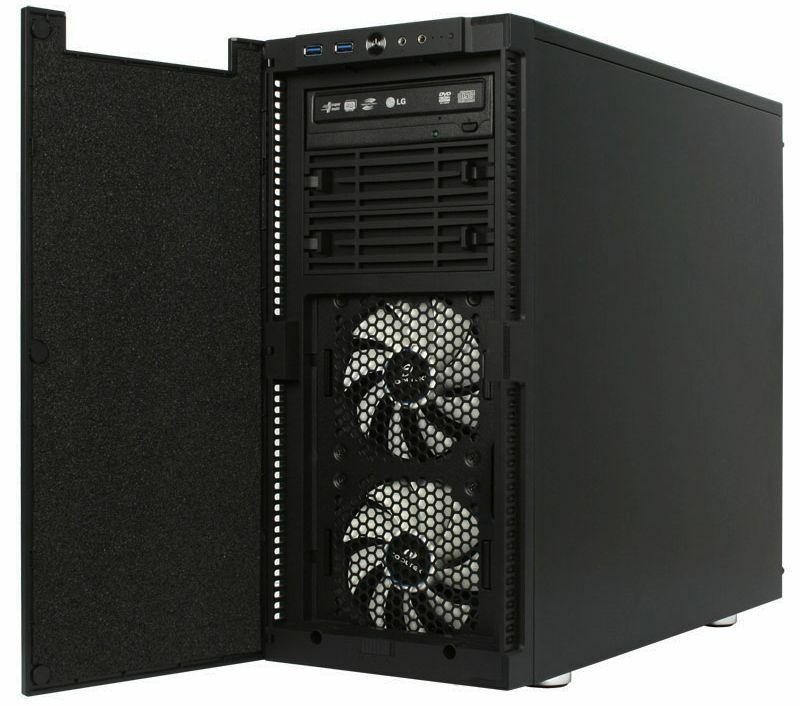 The Antiphon is a fully noise insulated mid-tower case designed specially for demanding users. The Antiphon offers excellent features that are unrivalled in this price segment. 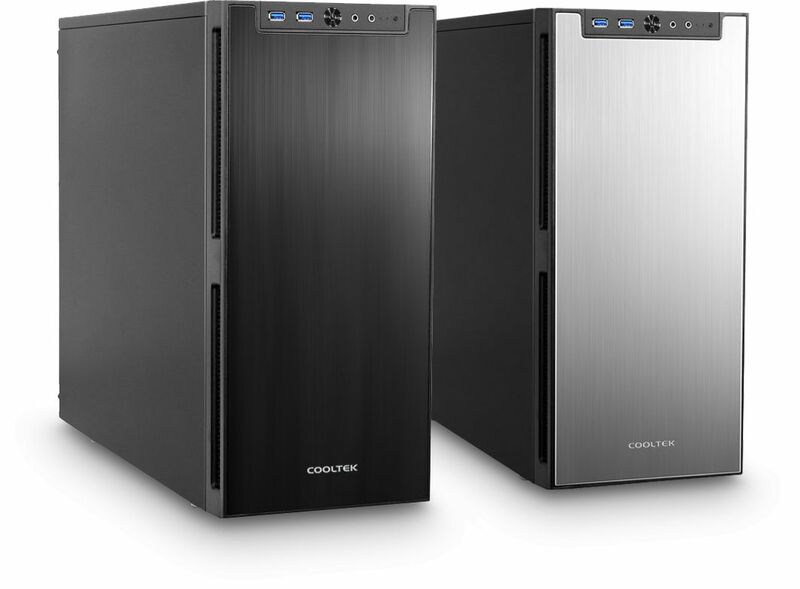 The case has been designed especially for users looking to build a very quiet PC. The Antiphon is lined with a total of 1.35 kg of special noise absorbing material. The soundproofed doors, decoupled hard drives and power supply along with the use of special anti-vibration case feet and a built-in fan controller, all add up to a case that helps to reduce any noise created by the installed components. The front panel is dominated by the massive front door, which is equipped with a wire-brushed finish aluminium plate. Three 5.25" drive bays are located in the upper part of the case behind the door. The lower area is home to a dust filter, which can be removed for cleaning. Behind the dust filter, two 120mm fans are installed that provide cooling for the internal components. At the bottom of the front panel there is a fan controller. The I/O panel with 2 x USB 3.0 as well as the mandatory audio jacks is located on top of the case. The interior of the Antiphon is convincing all around. Two HDD cages are available. The bottom cage can be equipped with four 3.5" HDDs while the upper cage holds four 2.5" HDD/SSDs. A simple, yet brilliant rail system makes installation a breeze. Simply attach the support rails to the hard disk drive and push it along with the rails into the corresponding drive bay. Thanks to the integrated decoupling, vibrations are largely absorbed. The ventilation system of our Antiphon is designed to provide the best possible cooling performance at a minimum noise emission. Three very quiet 120mm fans are included; besides the already mentioned fans in the front, another fan is attached in the rear of the case. The fans ensure enough airflow is fed into the case interior, even with the front door closed. The PCI slot covers are perforated for very efficient case ventilation. 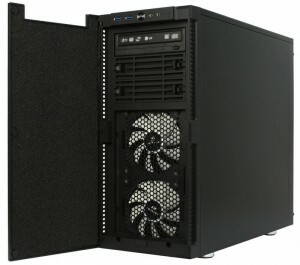 Another 120 mm fan can be mounted on the floor if desired. Dust filters in the front and under the bottom prevent dust particles to be sucked into the interior of the case. 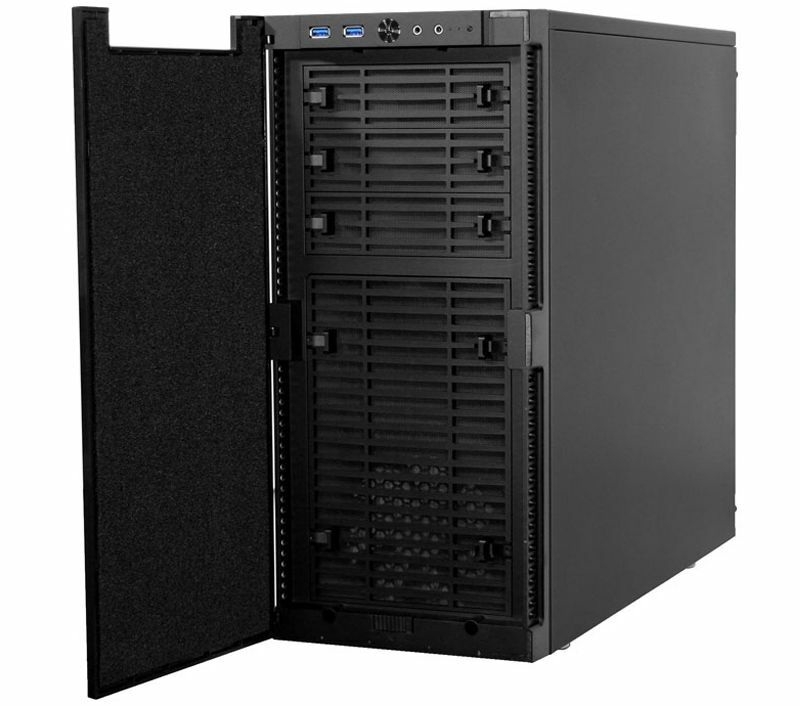 The Antiphon is equipped with a 2-speed fan controller for up to 3 fans, positioned at the bottom of the front panel. You can choose between two positions: "High" for increased cooling or "Low" for a very quiet computer. If necessary, the fans can also be switched off. 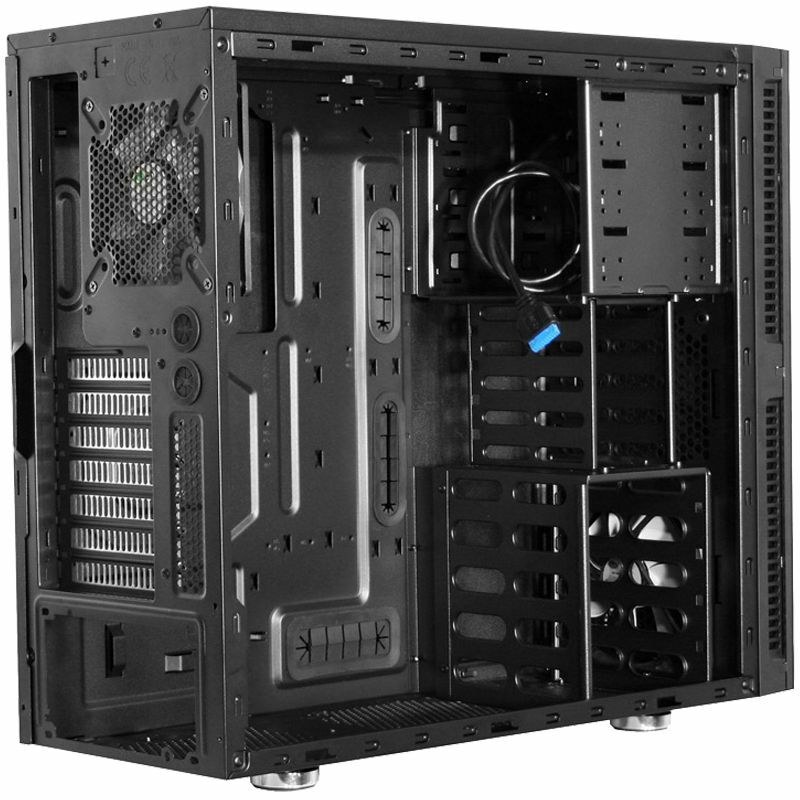 The Antiphon offers rubberised cable guides at strategic positions in the motherboard tray to allow as tidy a case interior as possible. This way, interfering cables can very easily be placed behind the motherboard tray. The power supply is mounted at the bottom of the Antiphon and appropriate air intakes with dust filters are provided to allow fresh air to be drawn in from the outside. Please Note: The downloadable manual does appear to be for a slightly older version of the Antiphon case and it makes reference to it as having one USB 2 and one USB 3 port on the front when in fact it has two USB 3 ports.